What happened in 2016: Avoided the sophomore slump and ended up being the Dodgers’ second-most productive hitter. 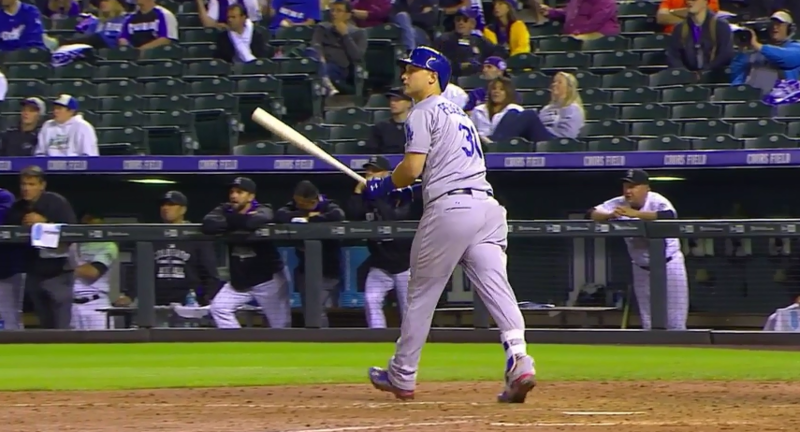 After a successful 2015 season that saw him tail off terribly in the second half of he season, Joc Pederson began his 2016 season by tinkering with his swing in spring training. Chad chronicled it as it was happening. Those changes had mixed results early on. Pederson was hitting for power, but he still had difficulty making consistent contact. He was being platooned, which I pointed out and thought was the wrong course of action. The trend would continue for most of the season. Pederson ended up with a .125/.250/.219 slash line against lefties, but he got just 77 plate appearances against them. It sounds like he’ll be given a chance to play everyday in 2017. Pederson didn’t crest 500 plate appearances because of platoon issues, but because of a fantastic catch he made in Milwaukee at the end of June. That resulted in a bruised shoulder that put him on the disabled list until after the All-Star break. Prior to that, he was hitting .236/.328/.476 with 13 home runs, an 11.8 BB% and a 25.2 K%. He came back to hit .260/.380/.520 with 12 home runs, a 14.9 BB% and a 29.9 K%. Not reflected in his overall strikeout rate is his improved contact rate, which played a large part in his overall improvement and consistency. Pederson saw his contact rate jump from 66.7 percent in 2015 to 75 percent in 2016. Conversely, his swinging strike rate drop almost 4 percent from 2015 to ’16. Despite some gaudy strikeout numbers, he’s hitting for power and making more contact. His standout postseason moment came in Game 5 of the National League Division Series. With the Dodgers trailing 1-0 in the seventh inning, he hit Max Scherzer‘s first pitch out to straight-away left field to tie the game. The Dodgers would go onto win the game 4-3. He hit just .190/.227/.338 in the NLCS against the Cubs. 2017 status: Pre-arb. He’ll be the Dodgers’ starting center fielder for the next (at least) four years. 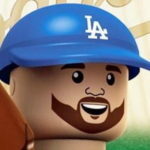 The Dodgers would be smart to explore a contract extension with him.